Bookplate by Tony Donley included! 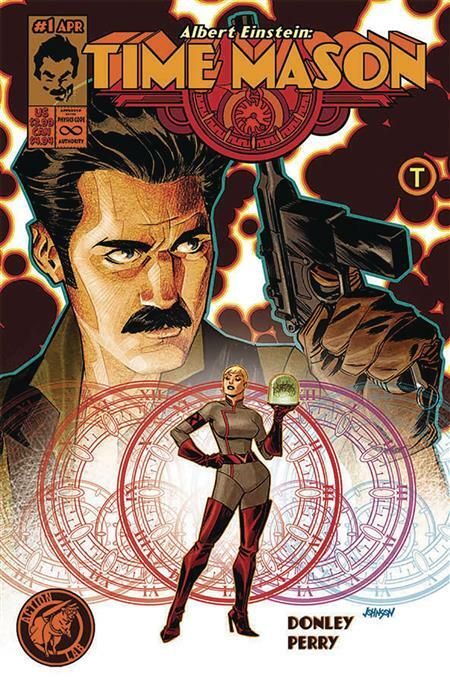 He's got the mind, the might, and the mustache! A roguish Albert Einstein leads a team of geniuses called the Time Masons in a battle to protect the integrity of our timeline. But when a new threat puts the past, present, and future in peril, it's up to him and a squad of epic historical figures to save the universe before the clock runs out. Get ready for an Einstein you never imagined in the greatest time-travel adventure series history has never seen!